Copper prices have displayed positive trends in response to recent releases of Chinese and US economic data. 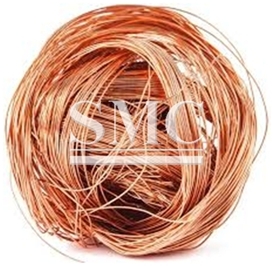 Copper for December settlement on the Comex division of the New York Mercantile Exchange ticked up 0.10 cents or 0.1% to $2.2500 per pound. The contract has now traded in positive territory four out of five sessions this week. Comex gold for December delivery gained $1.30 or 0.1% to $1,304.60 per oz. Trade has ranged from $1,295.70 to $1,308.0. This morning, the US non-farm employment change for October showed the American economy added 161,000 jobs, below the 174,000 forecast but a three-month high while the previous month was revised up to 191,000 from 156,000. Additionally, average hourly earnings month-over-month during the same period rose 0.4%, besting expectations of a 0.3% uptick and the fastest expansion since January. The headline unemployment rate was steady at 4.9%, while the trade balance in September stood at -36.4 billion, an improvement over the economic consensus of -37.5 billion. The positive employment data follows healthy manufacturing figures released throughout the week from the US, Europe and China. Furthermore, the tone at LME Week has been described as tentatively optimistic moving into the new year. “It would seem that market participants have generally greeted the good economic data from China and the US with optimism and have traded accordingly,” Commerzbank said in a note. Now investors await the results of the US presidential election which will be tallied next Tuesday. In the interim, the US currency has remained soft with the dollar index fell to a three-week low of 97.18 on Thursday and was recently at 97.22 on Friday, unchanged from its previous close. Meanwhile in European markets, Germany’s DAX and France’s CAC-40 were down 0.8% and 0.9% respectively, while the dollar strengthened by 0.2% to 1.1090 against the euro.